Avatar’s Update #259: Happy Holidays Community! The Elven city of Yew has been shielded from outsiders by a nearly constants shroud of fog that only clears during certain alignments of the heavenly bodies. The city itself is full of wonderful Elven architecture and because of the natural foggy defenses has never been fortified. 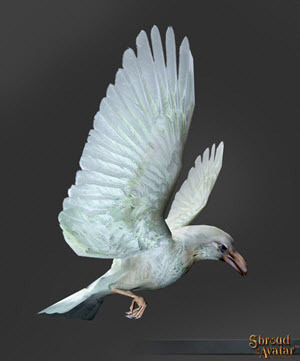 Yew is currently a clone of Jaanaford but is being rebuilt for Release 50. 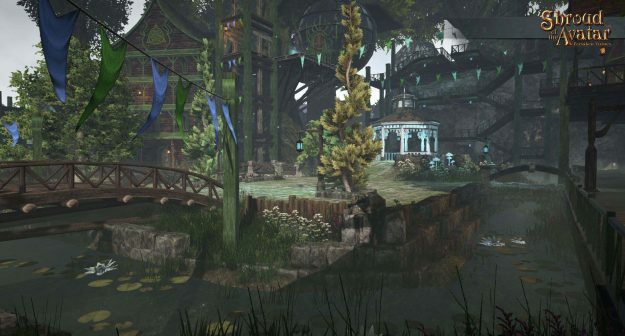 As with other town rebuilds the locations of player lots, merchant locations, and scene exits will not be changed. Hey guys! 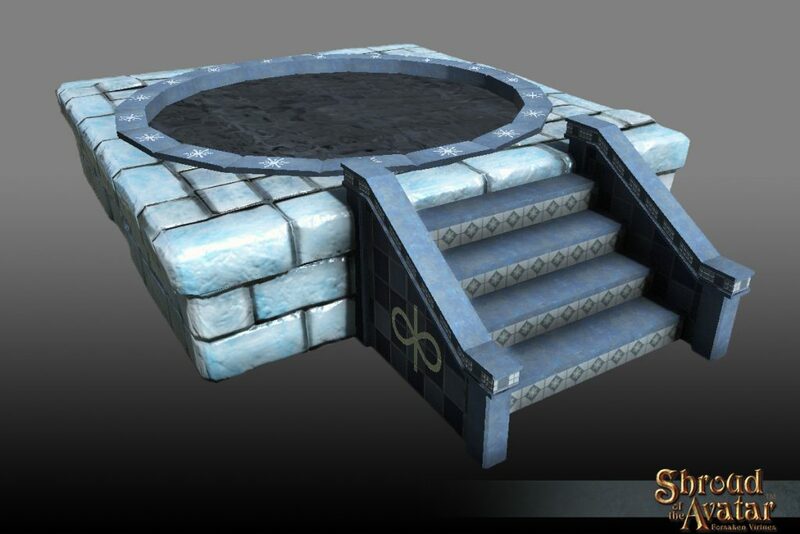 SorcerousSteve here to give you a sneak peek on my latest map! From the ground level a system of bridges connects the outside areas of the town to the center gazebo, while a system of elevators and stairs takes you up into the canopy where elevated platforms support elven homes. At nighttime Yew comes to life in a wonderful display of color. Small little streams which feed from a nearby spring crisscross the lower level of the town of Yew. A dash of light tears through the canopy of the Yew trees, our volumetric lighting at work. Another direct shot of the center of town this time during the day, in the background the giant town tree towers above all. 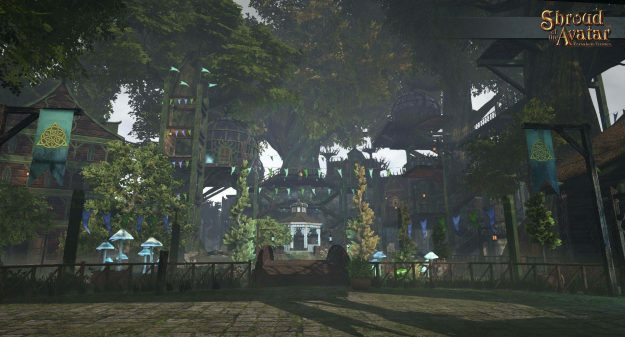 Kory “Rok Yrikk” Kirk has started a thread where we will be posting new Map features and content as they come online along with instructions on how to use them. We will be doing this because they will often go live out of sequence with our releases because the map is a web service. 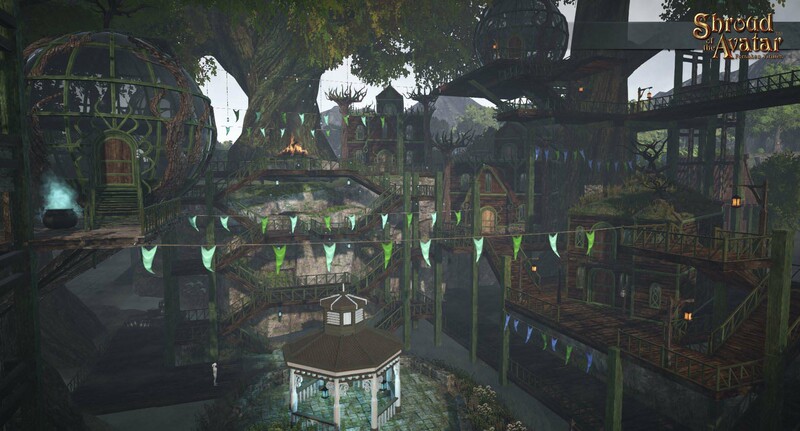 The biggest step forward this week is integration of our account system with the Map system which now allows for Personal Points of Interest and Player Owned Town Updates. The online version of the map can be found here. The map is accessible online and also in game. 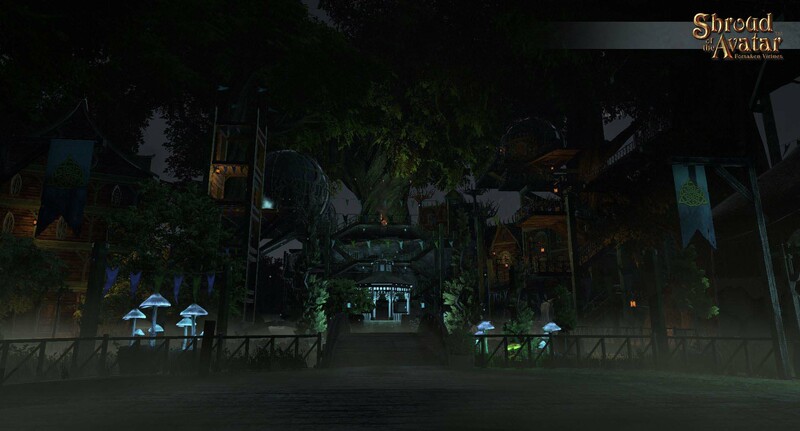 The in-game map has different features than the online map. The search bar is found in the top left. If you start typing in the search bar it will show results that match. Any Point of Interest that resides within the current map can be searched. 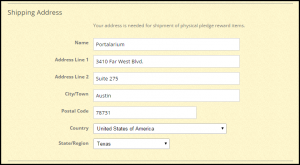 You need to log in to your ShroudoftheAvatar.com account in order to access some features of the map. 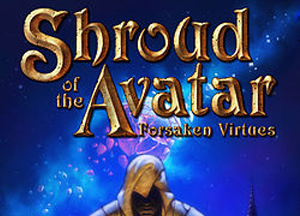 A login shortcut can be found on every page of shroudoftheavatar.com, and it is on the top right of the map. 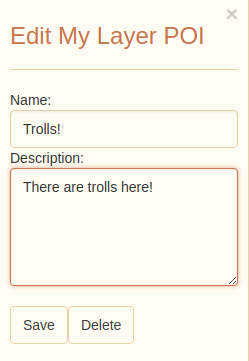 Anyone who is logged in can place Personal Points of Interests. 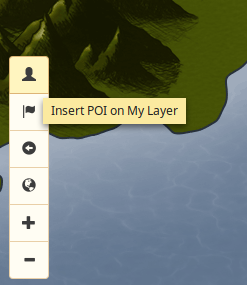 Select an icon that you want to represent your POI. Click on the map where you want your POI. Click on the POI to bring up the edit screen. Now you should be able to see your Personal POI with information! If you own a POT that is on the map, you should be able to modify that POT. 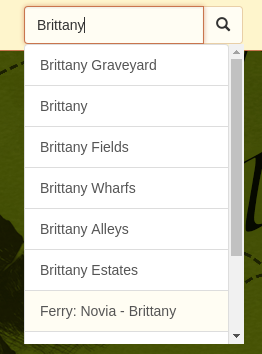 Navigate to your POT’s map in the web browser. 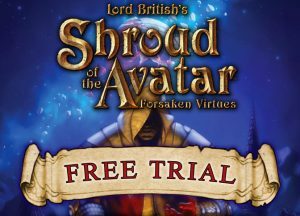 Log in with your shroudoftheavatar.com account that owns the POT. 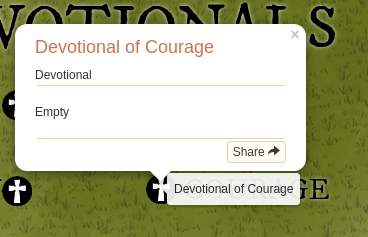 The POI Placement allows you to put icons that everyone can see, with descriptions. These are searchable. 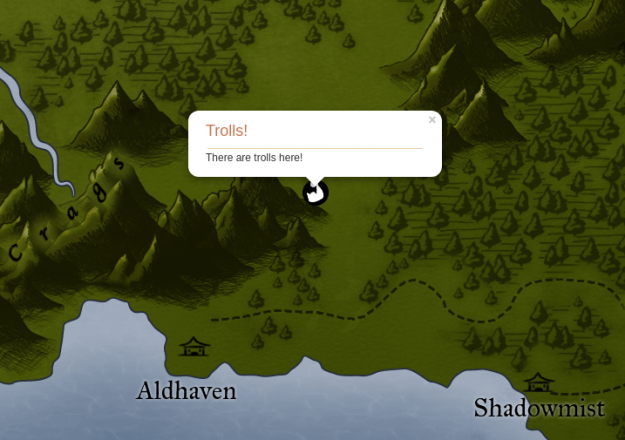 The Label placement allows you to put Text on the map. The building placement allows you to put Images of buildings on your map. To update or delete any existing items, simply click the item in Edit mode, and you will be given options on the right side bar. 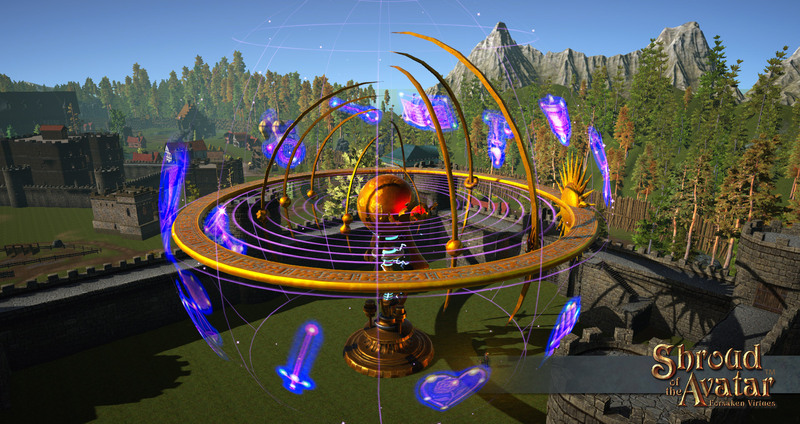 The map in-game will automatically change when you change scenes, in addition there is a marker that indicates the player’s position and direction. 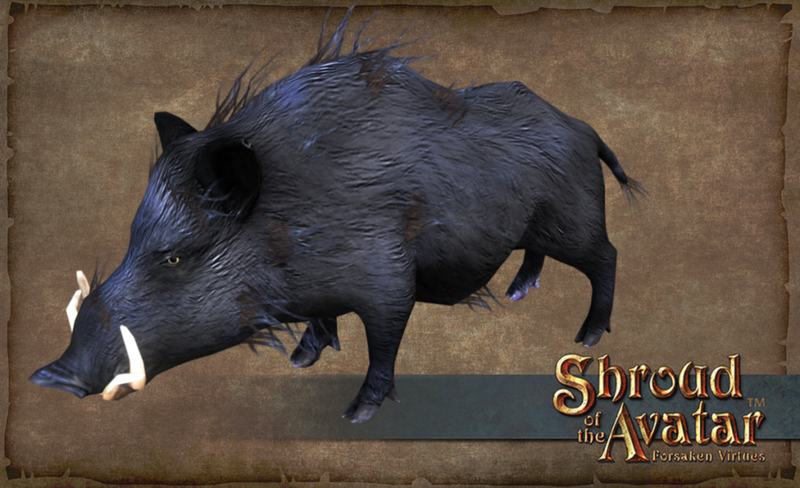 For a while now we have had Wild Boars in our backlog as a wild creature that we need to expand our bestiary. However it has always been the victim of other priorities until we started making our Norgard Barbarian Clans which are each based on an animal. 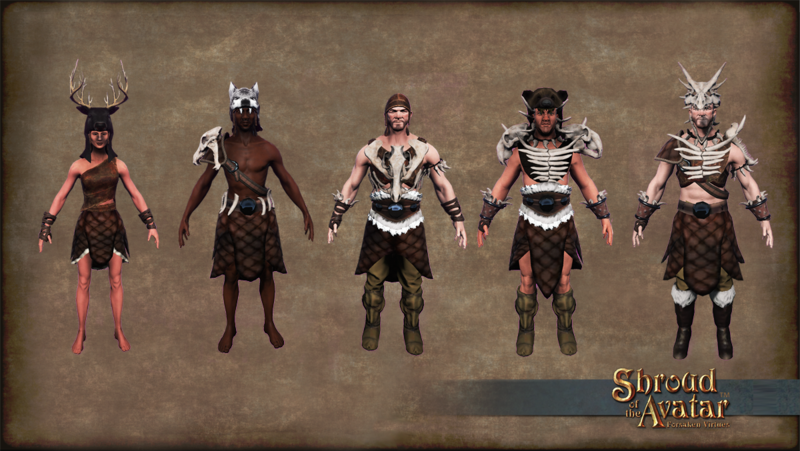 Each clan wears a headdress based on their totem animal; be it stag, bear, wolf, boar, or dragon. Each clan got an awesome animal hat, except the poor Boar Clan! 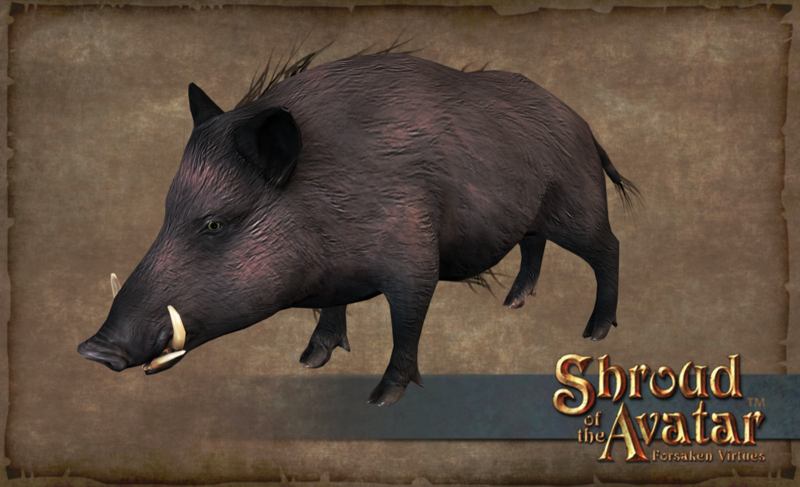 Without any Wild Boars in the game they were forced to wear a simple leather hat. Poor Boar Clan! Well this would not stand! 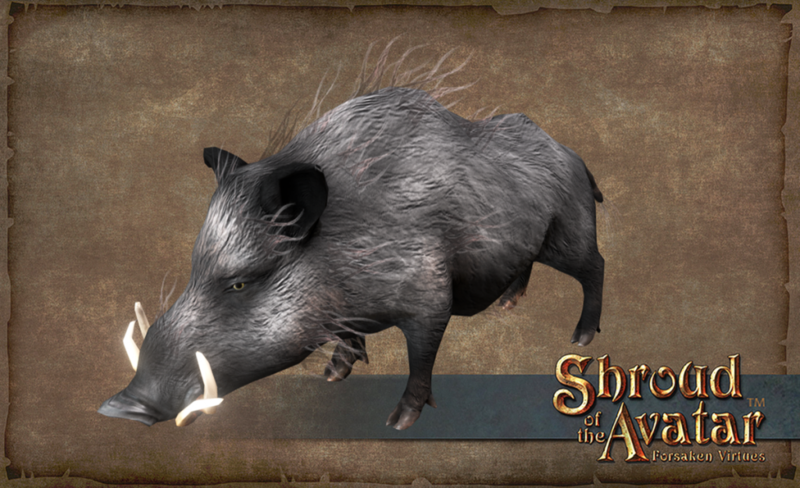 Therefore in Release 50 our bestiary is expanding again to include Wild Boars! These beasts will attack with a ferocious charge that can knockdown and then they will tear with their sharp tusks to bleed out those who encroach on their forest territory. There will be Elder and Obsidian visual variations in addition to the base version. 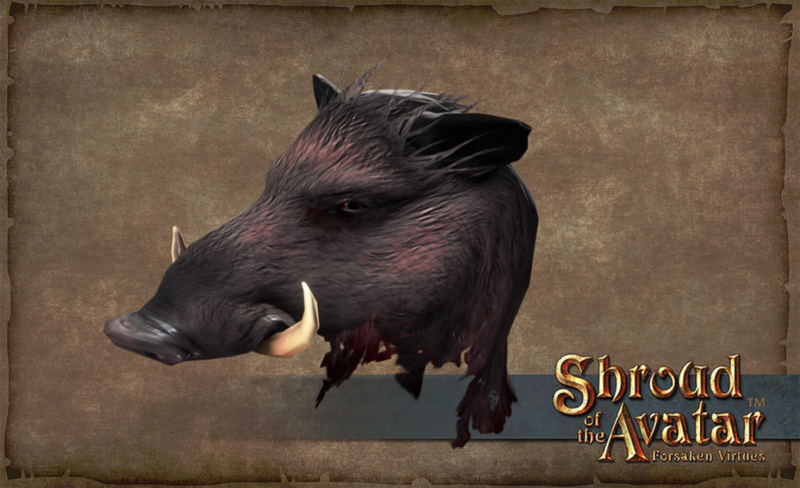 This of course means we will also have a Boar Hat and the Boar Clan will finally get a proper hat! 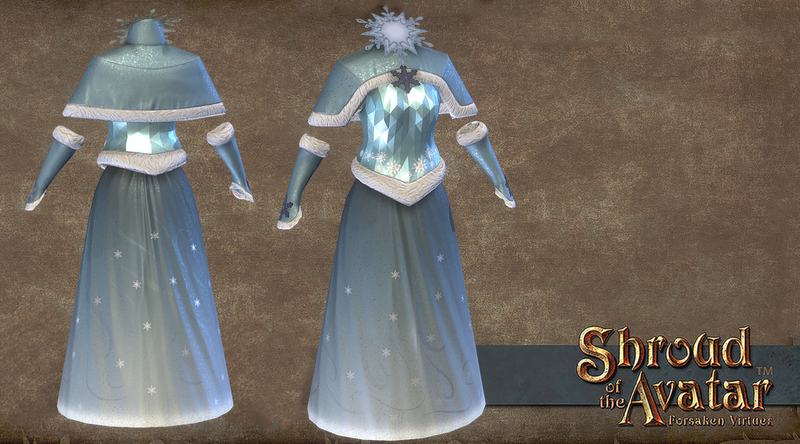 We have begun creating the items from the Release 48 Postmortem Telethon. The theme was once again Icy and our very own Fletcher “Scathana” Kinnear and Reid Rollo have been hard at work freezing their hands off sculpting new frozen treats for you! We were so excited after our successful month of Movember fundraising ($2,889!) 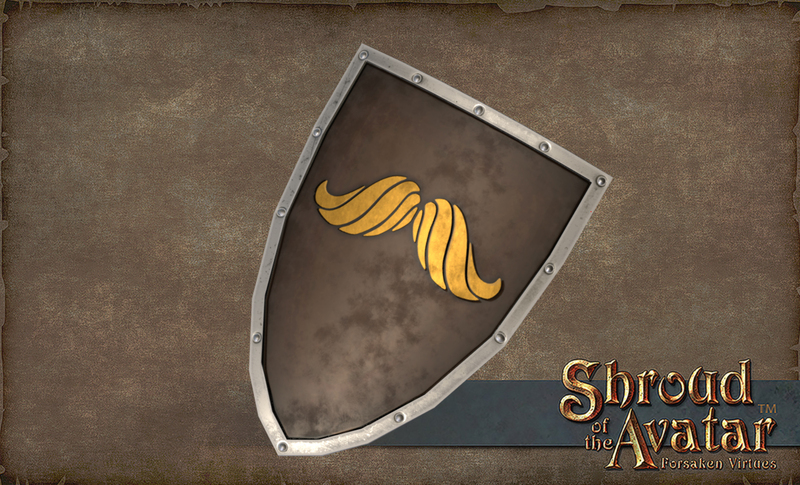 that we had to add more Movember items! 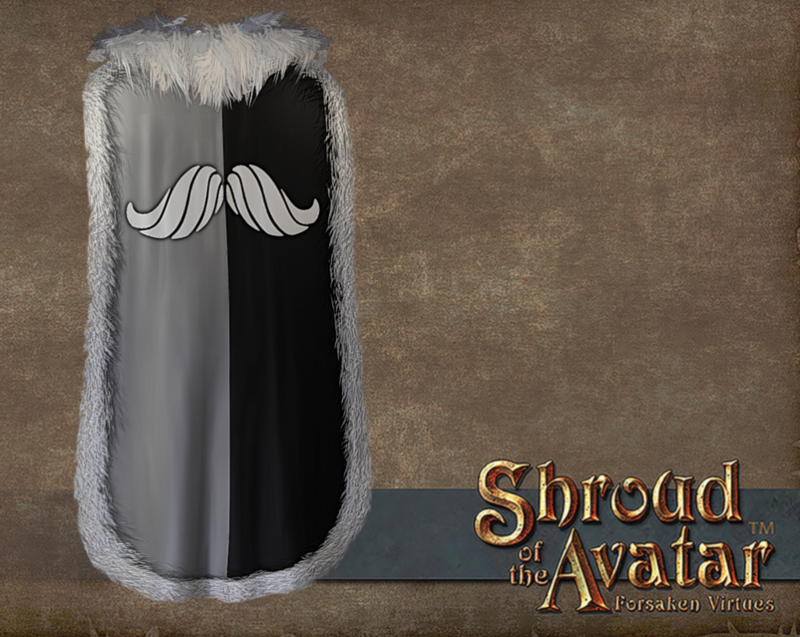 We are adding a Moustache Shield to the Movember Make a Difference Store and special Darkstarr and Lord British color variants of the Moustache Cloak, Moustache Helm, and Moustache Shield to the Cloth Map Bundle as well as the Darkstarr and Lord British Follicular Reliquaries. NOTE: The Darkstarr Follicular Reliquary and Cloth Map Bundle have already sold but the Lord British Follicular Reliquary is still available! 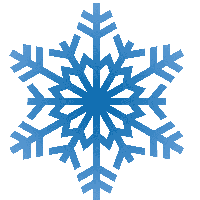 The winter season has set in and we’re beginning preparations to celebrate the arrival of what is going to be an exciting 2018! 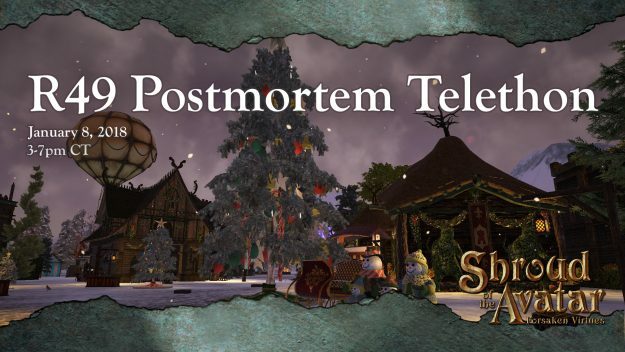 We’re announcing this release’s postmortem telethon with new holiday Stretch Goal Items ready to be achieved, Prizes to give away, and more informative Developer Deep Dives. And all of this is coming up fast on January 8! As was started with the R48 telethon, we’ve changed the format for these livestreams. We will be somewhat going back to briefer but more focused Deep Dives. Also, we will be focusing more on related questions to those Deep Dives. See below on what questions we will and will not be taking. There will be NO expiring items this telethon. 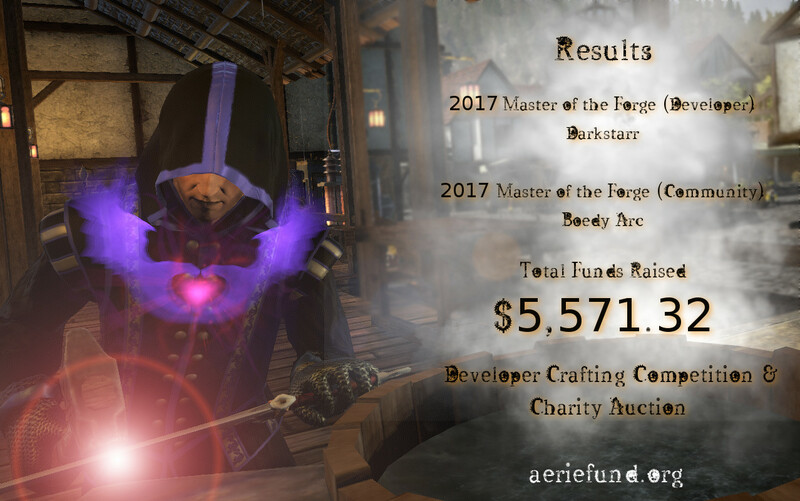 As a special bonus, we are offering funding rewards to any backer that pledges a minimum of $5 for twelve hours during the day of the telethon, on January 8 from 12:00 PM to 11:59 PM CT (Spending Store Credit to make $5 minimum purchase does not apply) . 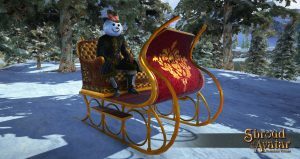 *Please keep in mind that stretch goal rewards take time to develop and will most likely not be available in-game at Release 51 at the earliest. 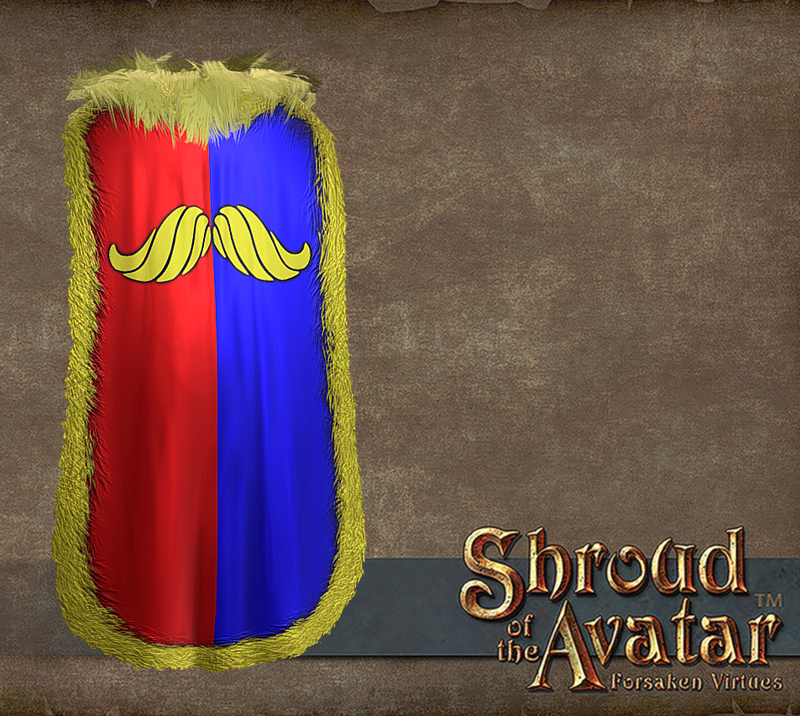 Keep an eye on @ShroudofAvatar for updates before, during, and after the livestream. 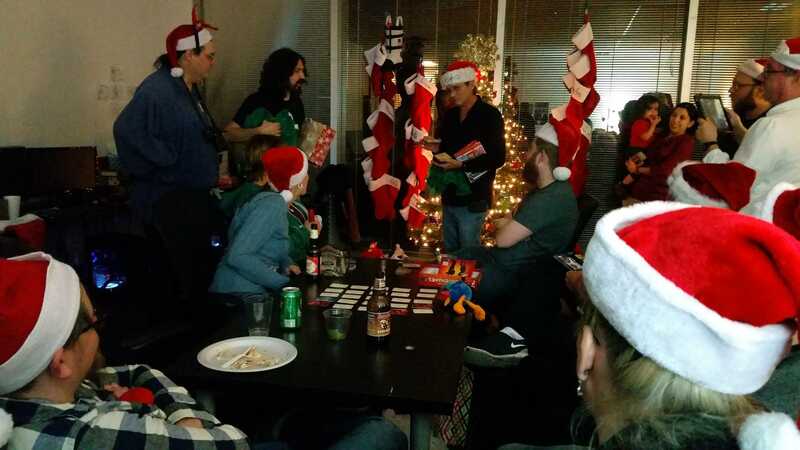 See you on Twitch at 3:00 PM CT on January 8! 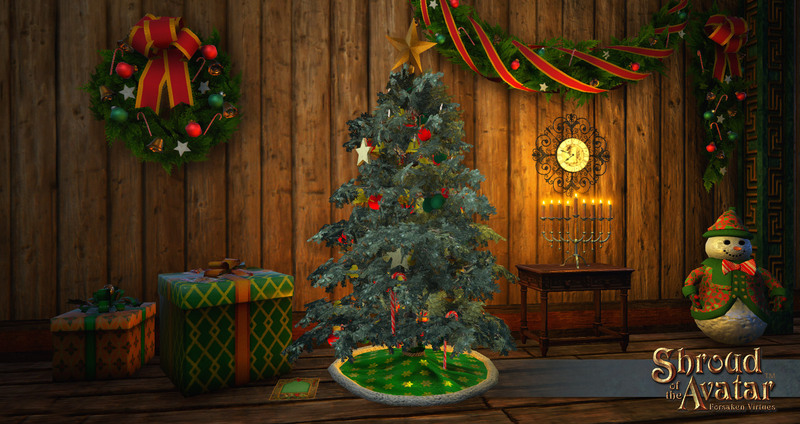 Happy Holidays, Avatars! See you next year! As a reminder this version of the Free Trial has a few changes in it. 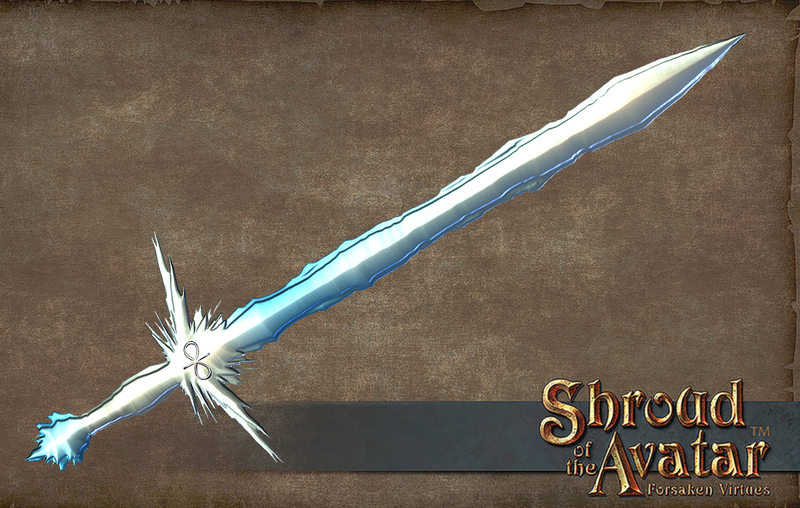 We are moving Free Trial users to the Path of Courage because using melee weapons is an easier introduction to the combat system. 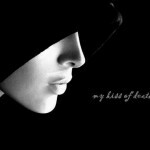 We are also going to limit interaction with the story to only the Path of Courage. 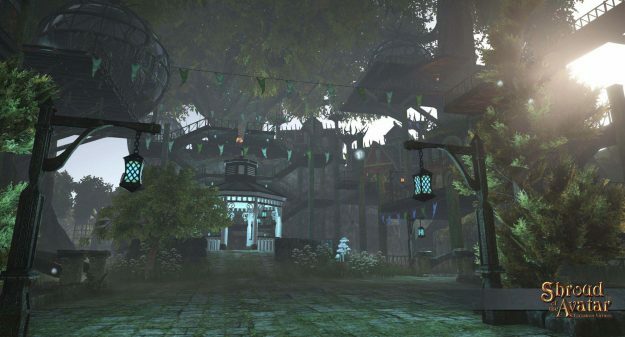 Visitors will no longer be able to start the other story paths. Also, we are now going to limit how far Visitors can advance their skills to only level 50. Coordinating general office activities and operations to secure efficiency and compliance to company policies, maintain stocks of office supplies, manage phone calls and general office correspondence (e-mail, letters, packages etc. ), support budgeting and bookkeeping procedures, create and update records and databases with personnel, financial and other data, assist colleagues whenever necessary. Assist founder/CEO with company and personal administrative tasks including: managing calendars, making travel plans, meeting and event arrangements, payment and filing of invoices, managing mail, preparation of reports, and errands. Able to efficiently translate assigned tasks (verbal or written) into prioritized checklists/schedules and can effectively manage those checklists/schedules. When given research materials or a publicly available topic to research, will be able to conduct search and summarize key points on a topic efficiently. Self-driven with high work ethics, able to stay focused on work-related tasks, seeks out tasks during down time. Proficiency with Microsoft Windows environment and Microsoft Office (Excel, PowerPoint, Word), Adobe Acrobat, Docusign, etc. 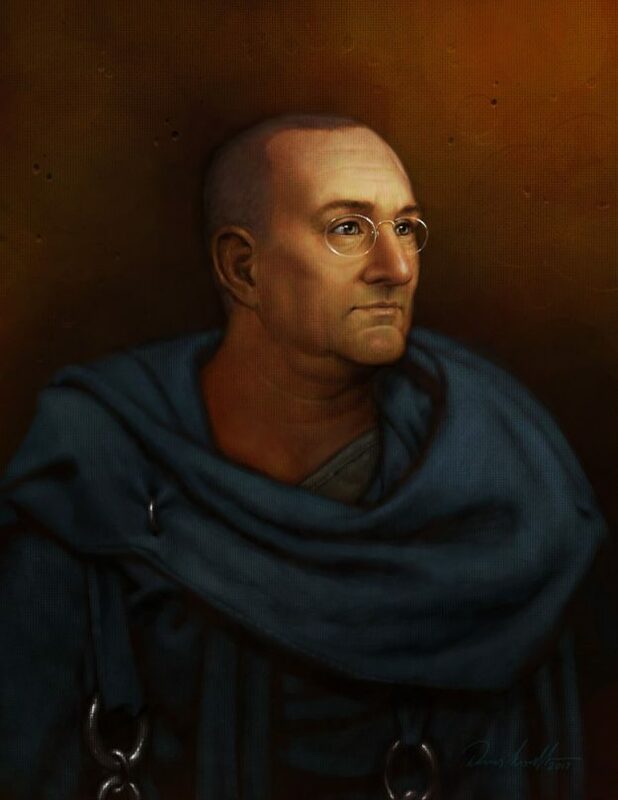 Thanks to your support, we’re able to provide a place for Avatars to go when times are tough, and build an altruistic gaming network inside of New Britannia and out. Results are based off of cumulative ‘likes’ for submitted items. 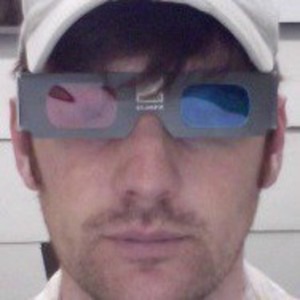 w/31 Likes Darkstarr not only created truly epic gear, he did it twice. *Seriously* The number and quality of his pieces made this no easy feat. Not only were his creations death and chaos inspired, they were crafted over the course of days (during his off time). We’re grateful for his dedication and his support. w/24 Likes Boedy’s Courage & Copper set was crafted with the finesse of a artisan. Those of you who know Boedy, know that he takes his crafting *very* seriously. 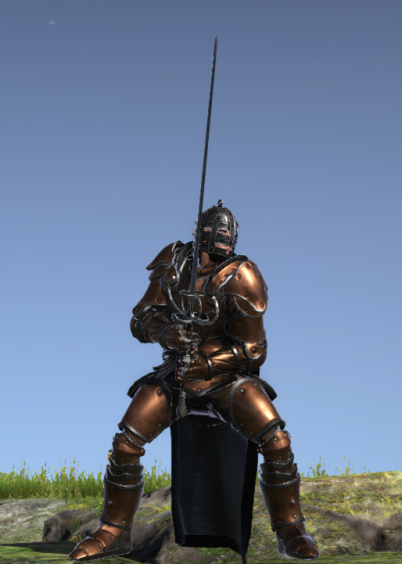 This set was composed of nearly 1 million GP of in-game resources funneled through his impressive skillset at the crafting tables. We’re honored that Boedy donated his time and energy to this cause. Sing along with us! 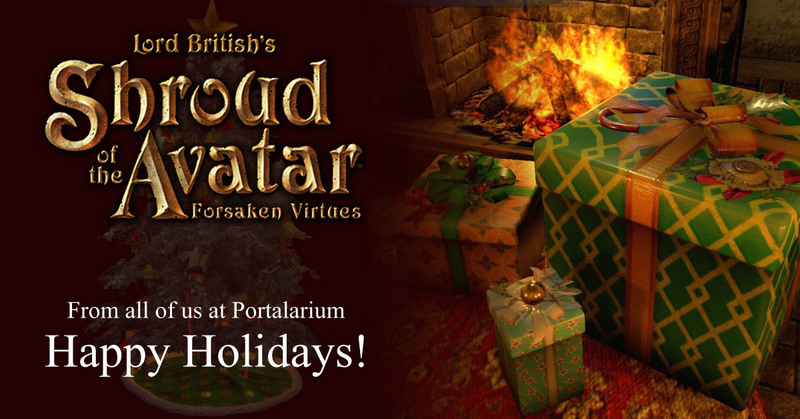 Just like last year’s contest, this one is simple and fun – for the next couple of weeks, from December 15, 2017 to January 2, 2018, we want to see what songs, poems, and other holiday stories you can come up with that are related to Shroud of the Avatar. When you have a submission ready, please post it in this thread! You are allowed to edit your entry up until the contest deadline. 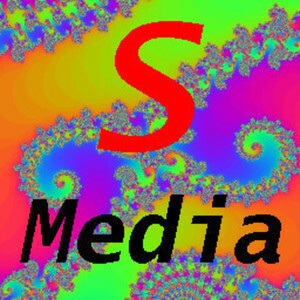 If a theme doesn’t get any entries, we will add a winner to a theme that has multiple entries. Please limit entries to no more than 800 words and 3 pages with up to 4 images (if you need imagery). Shorter is usually better, so don’t feel you need to max out these limits. 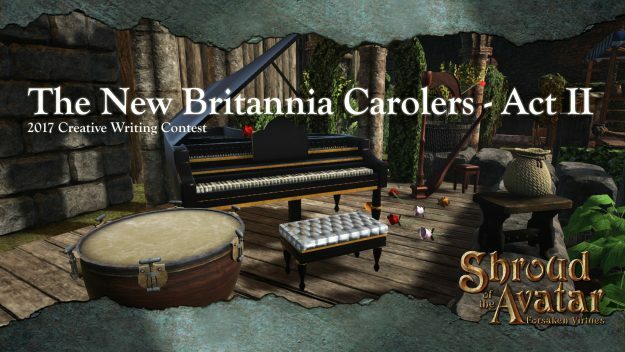 Each winner will be awarded 25 COTOs, as well as the 2016 Winter Holiday Soundtrack – Wax Cylinders – perfect for replaying holiday tunes well into the 2018 new year. Have fun being a creative creator, Avatars! 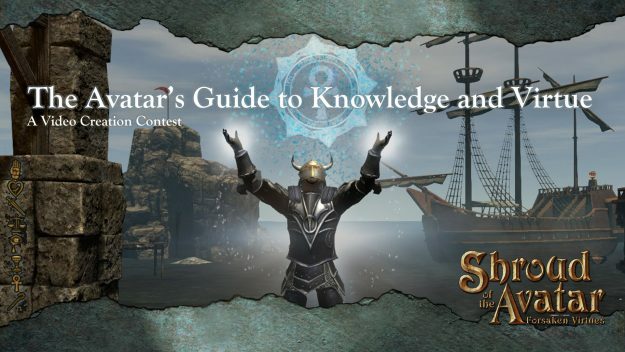 Contest: The Avatar’s Guide to Knowledge and Virtue – Weekly Winners! 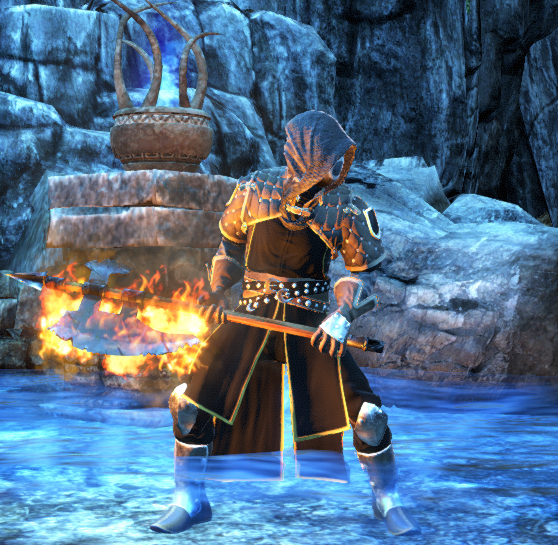 Congrats to the following two weekly winners in the still going video creation contest! 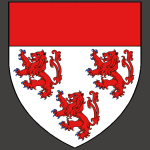 All current entries can be found here. 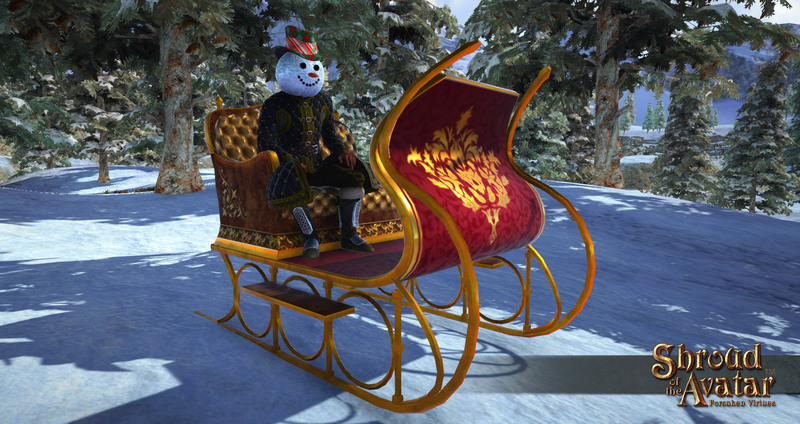 The ‘Avatar’s Guide to Knowledge and Virtue’ video contest continues through the holidays. 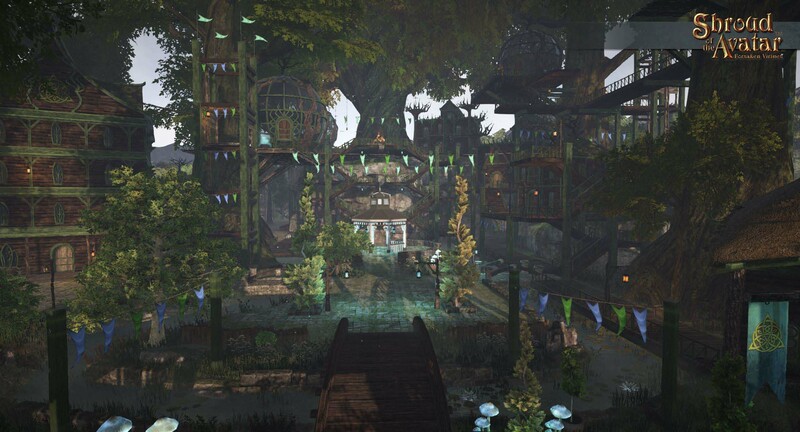 You have until Jan. 15, 2018 to design a walkthrough video for all New Britannians to use as a resource for making their way successfully in the game. Our good friend Denis Loubet, and the one responsible for Shroud of the Avatar’s cover art and almost every piece of cover art for Ultima, as well as many other art pieces in SotA’s early days of development, is now running his own project. 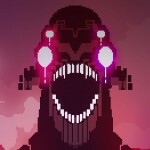 Denis is creating more Science Fiction and Fantasy Art for you to enjoy. 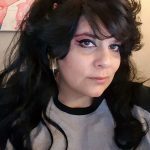 Check it out over at Patreon! If you remember the Ultima series of computer games, I’m the guy that did most of the covers and the manual illustrations, as well as a lot of the in-game art and animation. I’ve been doing game art since the 80s for companies such as Steve Jackson Games, Hero Games, Origin Systems Inc, Kingsisle, Disney, and many more. I want to try doing art directly for my fans, with no middleman. That’s the reason for this Patreon project. Thank you all for continuing to create memories for years to come!! Love it all!! Wow Yew looks absolutely amazing.